It’s mere seconds after sunset on 21st October 1978, and twenty-year-old Frederick Valentich is piloting a light airplane over Bass Strait towards King Island, a small island north-west of mainland Tasmania. He’s startled by a mysterious aircraft flying over him, so he radios Melbourne air traffic control. On the other end is controller Steve Robey. Here’s the abridged transcript between Valentich (identified as Delta Sierra Juliet) and air traffic control. They would be the last words he spoke. His aircraft was never found. They would be the last words he spoke. His aircraft was never found. Seventeen seconds of an unidentified noise, described as being "metallic, scraping sounds” are recorded. The transmission ends. This story is often repeated by UFO geeks; the case remains unsolved. As the infamous tale goes, the bell rings to start recess at Westall High School in Clayton South, Victoria. It’s 6th April 1966, and children are playing cricket when a flying saucer appears not far from the schoolyard. Followed by another one. And, depending on whom you ask, another one. Mr Greenwood relies on the excited students to point out the UFOs, as their apparently white and grey colouring is hard to distinguish against the clouds. He sees five light airplanes engaging the UFO, which plays “cat and mouse” with the planes. Mr Greenwood is one of the few teachers who witnessed the flying saucers. Scientists have shown how accessing a memory edits and rewrites it, which makes Mr Greenwood’s testimony in 1967 a precious document, as it remains untainted by the decades that followed. Word quickly spreads and up to two hundred people view the dance of UFOs in the sky, flying at impossible speeds. Witnesses describe them as “round, silver disks.” No windows, no doors. Barbara Robins, a chemistry teacher, starts taking photos. These pictures, along with her camera itself, would later be confiscated by men in unidentified, camouflaged uniforms who arrived in military vehicles. (Curiously, Australians weren’t wearing camouflaged uniforms in the sixties, nor were the British. The US Air Force, however, were.) The fate of the photos is unknown. One of the UFOs lands for a couple of minutes in The Grange—a grassy area adjacent to a pine plantation behind the school. A student named Tanya, reportedly the first person to approach the UFO on the ground, freaks out and is placed into an ambulance. She’s never seen at school again. A number of people including Kevin Hurley report seeing the tall grass flattened in “a big perfect circle,” before the area was cordoned off by the military. That afternoon, Westall High principal Frank Samberle calls an emergency whole school meeting. Students are told ‘the truth’—that the mysterious object was simply a waylaid weather balloon—and to never speak with the media about what they saw. The Dandenong Journal reports on the incident and Channel Nine runs a 6pm News bulletin on the event that night. Federal and state government agencies refuse to comment. Many years later, UFO researchers locate the bulletin’s film canister among Nine’s records. Strangely, unlike the thousands of other canisters still housed in the archive, the film has been removed. “I know what I saw,” says one of the witnesses in the 2010 documentary Westall ’66. “And nothing’s ever gonna shake me from that. I know what I saw.” Witnesses, breaking the principal’s censorship, have continued to speak out, including at a gathering last year at Kingston Arts Centre to mark the fifty-year anniversary. They reminisce about crying at the sight of the UFOs, believing they were seeing the end of the world. The Westall UFO incident is probably the most famous UFO incident in Australia. It has absorbed thousands around the world—in part because having over two hundred people witness a single incident is extremely rare in UFO lore. The incident was a hot playground topic when my mother enrolled in Westall High a few years following, and it remains so. It sparks questions that still baffle us: were the US military covering up an actual UFO? Or perhaps an experimental aircraft they didn’t want the public to see? Can so many people be mistaken about what they saw? What really happened that day? They reminisce about crying at the sight of the UFOs, believing they were seeing the end of the world. There are two ways to hunt for extraterrestrial life. One is to look for evidence on Earth, through the examination of UFO sightings—mythologised events such as Frederick Valentich’s disappearance and the Westall UFO incident—and through secretive state-sponsored programs. In December 2017, The New York Times revealed that the US Defense Department ran a classified program from 2007 to 2012 to explore extraterrestrial encounters and investigate reports of unidentified flying objects. The program cost $28 million a year. Footage shared online by the Defense Department shows a confrontation between a Navy F/A-18 Super Hornet and an extraordinary, oval-shaped, unknown object. “Look at that thing, dude,” a Navy member gasps in the video. When US aircraft technology is outclassed by another non-US-made aircraft, it implies that it’s either not an aircraft—or it’s an aircraft from another world. The other—and I would argue better—alternative in the hunt for alien life, is to look outwards. Programs like SETI have, for six decades now, had backyard sci-fi enthusiasts monitoring space in their spare time for possible signs of intelligent life. For those with the capital to support the cosmic search, though, ambitions are expanding. The latest hope for alien hunters is the billionaire entrepreneur and physicist Yuri Milner, a 56-year-old Russian who’s determined to find out if we’re alone in the universe. Launched in 2015 at a cost of over $126 million, Milner’s The Breakthrough Initiatives is a three-part program that uses cutting-edge science and technology to back its search. Supported by legendary figures of the ET-enthusiast community like Stephen Hawking, Frank Drake and Ann Druyan, and with Mark Zuckerberg as one of the three board members, Breakthrough Listen aspires to scan over a million stars and a hundred nearby galaxies for alien radio or laser signals. One of the key pieces of equipment they’re using is the Parkes Telescope in New South Wales—a radio telescope, affectionately nicknamed ‘the Dish’, which played a key role in receiving images of the Apollo 11 moon landing. Publishing its first results last April after analysing petabytes of data, Breakthrough Listen is by far the most exhaustive search of its kind ever undertaken. In December 2017, The New York Times revealed that the US Defense Department ran a classified program from 2007 to 2012 to explore extraterrestrial encounters and investigate reports of unidentified flying objects. As well as just listening to space, the program also wants to make contact. Its second arm, Breakthrough Starshot, will send a swarm of 1,000 probes, each “the size of a postage stamp,” to the nearest star to our Sun. The aim is to develop a proof-of-concept, un-manned spacecraft capable of travelling to Alpha Centauri at 20 per cent the speed of light, and then transmitting data back to us. It will take about twenty years for a spacecraft to reach the star system, and about four years for Earth to receive a message confirming its arrival. Fully-funded programs like this are far more effective ways to search for extraterrestrial life than military operations interrogating human ‘witnesses’. UFO chasing too often relies on metamorphic stories that live inside our credulous brains. We’re better off looking out than in. This is an excerpt. The rest of this piece is in The Lifted Brow 37. You can purchase a copy here. Every time Nick Taras finishes a paragraph – usually about space, aliens, God, comedy or American football – he plays "This Is How We Do It" and takes a bath. While scientists cheer, historians tremble, and Trump turns the wall blueprints into a dome, my burning question is this: what then happens to our relationship with God? Would contact with extraterrestrial intelligence contradict the tenets of humanity's prominent religions? Would our religions collapse? June 30, 1971. Their bodies are twisted and sore from a squashed eighteen-hour flight into orbit. The three cosmonauts of Soyuz 11, a Soviet manned mission, finally dock at the world’s first space station. Their twenty-three-day adventure aboard the space station will set the world record for days in orbit. One task transcends all: the study of the human body in the alien state of weightlessness. Soviet newspapers provide regular updates on their heroes. The mission is bold. The USSR lost the race to the moon, but at least Soviet men can be the first to call space their home. Following three weeks of scientific experiments, the Soyuz 11 crewmembers start the careful, punctilious undocking process from the space station. Mission control radios the cosmonaut team, collectively known by their call sign ‘Yantar’. PULL QUOTE: One task transcends all: the study of the human body in the alien state of weightlessness. Rescue crewmembers open the scorched capsule door. But something is wrong – horrifyingly wrong. Bozhe moy. My God. “1-1-1,” the rescue team transmits. This is a 1-5 scale, with 5 meaning the cosmonaut is in excellent health. 1-1-1 signifies the worst possible news – all three cosmonauts are dead. And not just dead – they have deep blue rings on their faces, and blood has leaked from their noses and ears. It’s as if their souls have been viciously sucked right out of their pores. Doctors desperately attempt resuscitation, but the Yantar team has already fought an eleven-minute battle with the vacuum of space – and conscious probably only for the first minute. Later, doctors would debate about the cause of death. Perhaps twenty-three days is too long for the human body to be in weightlessness? Perhaps the heart becomes lazy without gravity’s dictatorship? A joint Soviet-American investigation takes place (the Americans were planning to use Soviet spacecraft in a future collaborative mission) and a harrowing discovery is made. When the landing module disconnected from the space station, a series of minor explosions were supposed to unbolt the landing module, but instead of exploding in sequence, they blew up concurrently, sending shockwaves through the landing module and causing an air vent to open, leading to rapid decompression. Of all the billions who have lived on Earth, from the first Homo sapiens to present day you and I, every single person has died on their birth planet—or at least in its atmosphere—except the Yantar crew. The tragedy is a disturbing reminder of the hostile barrenness of space. But it also hints to just how finely tuned the human body is to the natural rules of Earth. We adapted and evolved to live in this world, and rely on it to survive. Earth not only nurtures and nourishes us, but her magnetic field and thick atmosphere also protects life against the sinister threats of space. Still, mankind’s exploratory nature does not fear the challenge of leaving home. In order to live in space or on neighbourly worlds such as Mars or the moon, the human body must consider the dangers of microgravity, pressurisation and radiation. So, what are the physical effects of living in space? And the psychological effects? The latter are often unappreciated, but just take as evidence the crew aboard Skylab 4, astronauts who disobeyed commands from Earth in what infamously became known as the first mutiny in space. But more on them later. With Barack Obama predicting a manned mission to orbit Mars by the mid-2030s, developing technology to survive away from Earth has become the forefront of spaceflight research. So, just how does a human being learn to live where life is impossible? Before mankind risked itself to venture into the unknown, monkeys, dogs, chimpanzees, rats, rabbits, cats, tortoises and even spiders were used as… guinea pigs. Animals became collateral victims in the space race between the Soviets and the Americans, as scientists debated whether or not human beings could survive weightlessness. From the 1940s until present day, hundreds of animals have been sent into space, starting with fruit flies in 1947. Perhaps the most famous case is of the Soviet dog Laika – the first creature to orbit Earth. Laika was sent to space in 1957 without any means of returning, and died after stressful noise and harsh vibrations caused her heartbeat to reach 260 beats a minute. Another Soviet-trained dog, Bobik, went missing moments before his launch, so a stray was grabbed off the streets of Moscow and dubbed ZIB, a Russian acronym for “Substitute for Missing Dog Bobik”. International space programmes have resulted in remarkable outcomes while testing the effects of spaceflight on animals, such as when a Russian cockroach became the first creature to give birth in space. But the most astonishing discovery was the revelation that tardigrades—micro-animals known as ‘water bears’ that only grow to half a millimetre in length—could survive ten days exposure to the vacuum of space. Water bears are the Rasputins of the animal kingdom: able to be boiled, frozen, endure pressures six times that of the deepest ocean floor and live without food or water for ten years. Their trick is a process called cryptobiosis, allowing them to dehydrate to the extreme point where their bodies contains three per cent of their usual fluid amount. Once rehydrated, they are able to function entirely as normal, even able to reproduce. The ethics of animal treatment in the Soviet-American space programmes is infected with controversy. These animals were killed to study the effects of spaceflight on humans, with a sad endgame of political one-upmanship between the two countries and a victory in the psychological war. Yet without these innocent critters, our achievements in space would simply have never happened, because we knew so little about three particular dangers of space. 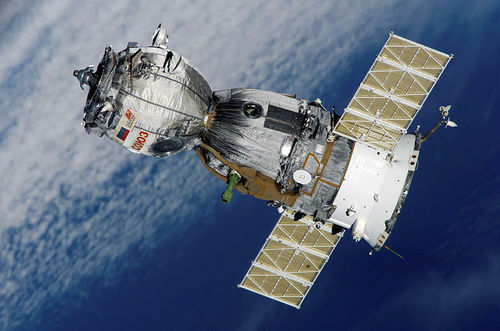 Astronauts and cosmonauts who have spent considerable time in space experience identical symptoms such as atrophy of the muscles, often including a decrease in heart size. Many experience a twenty percent loss of muscle mass in only a handful of weeks. On Earth, muscles are constantly moving in opposition to gravity, but weightlessness in space inhibits this phenomenon. There is simply no resistance for muscles to push against, and daily exercise in space only slows down atrophy; it can’t prevent it. Astronaut Jerry Linenger’s bones deteriorated by fourteen per cent after only five months in zero gravity. Furthermore, the otolith in the ear assists the body in maintaining equilibrium. In microgravity, these sensors are unable to distinguish up and down in relation to visual input. Essentially, in microgravity, your sense of balance and sense of vision are speaking different languages to the brain. Astronauts undergo extensive training to acclimate to this miscommunication and orientate themselves in microgravity. But weightlessness is a minor problem compared to the violent consequences of pressure and radiation. While misconceptions stemming from science fiction suggest that exposure to space results in the body exploding or the pupils popping, this isn’t reality. Next to the Soyuz 11 crew, the closest a human has come to the brutality of a vacuum was an incident at NASA in 1966. Spacesuit technician Jim Le Blanc was inside of a vacuum chamber—set at the pressure equivalent to 150,000 feet—when his spacesuit lost pressure. With no oxygen, Le Blanc passed out after fourteen seconds. The calm and swift reaction of his colleagues saved his life, but Le Blanc’s haunting last memory of the incident provides a glimpse into the wickedness of depressurisation – he remembers the saliva on his tongue boiling. The Soyuz 11 crew were exposed to space for eleven minutes, but as no human has ever been unprotected in space for an extended period, it’s difficult to be exactly certain of the outcome. According to Nova’s television program Can We Make it to Mars?, prolonged exposure to space would result in the body expanding until it becomes a form of goo, followed by vaporisation. The $10 million price tag for each spacesuit now seems to feel justified. Much like a balloon, spacesuits are pumped full of air, with the pressure inside the suit equal to about one-third of the Earth’s atmosphere – or the peak of Mount Everest. If you’ve seen footage of the Moon landing, you’ll notice the incredible awkward “bunny hop” the astronauts employ to move around. This is less to do with the Moon’s gravity and more a result of the lack of manoeuvrability of the spacesuit. The spacesuit requires pressure, but at the cost of dexterity. NASA are currently testing experimental suits that directly apply pressure on the body. Astronauts aboard the International Space Station receive a dose of over one hundred and fifty millisieverts of radiation in six months – the same amount of radiation the average human receives naturally over a lifetime. Inside the ISS, Jerry Linenger tells of closing his eyes and seeing phantasmagorical flashes of cosmic rays – subatomic particles that have come from exploded stars in the deep galaxy that travel near light speed. With enough exposure to radiation, DNA can break apart, predisposing the cell to cancer. For any extended spaceflight, radiation poses a most potent threat. Two years after the heartbreaking Soyuz 11 mission, Americans built the Skylab space station in 1973 to, amongst a multitude of other experiments, test the effects of weightlessness on the human body. The crew of Skylab 4 were required to perform extensive daily tasks, receiving permission for eight hours sleep and little more personal time. Feeling the strenuous toll, the astronauts asked mission control for more flexibility. The media heard whispers of the tension, questioning NASA on the “enthusiasm” of the Skylab 4 team in space. Eventually, the astronauts simply went on strike, informing NASA—who was spending millions per day hosting the team in space—of their unhappiness. This became known as the first mutiny in space. Following negotiations, a more relax schedule was adopted, and the lessons from the incident have been implemented in future missions. So, why does any of this matter? Well, for starters, the next giant leap for mankind would be to visit our twin planet, Mars. Mars is over one hundred times further away than the Moon, and with current propulsion technology, a crew must endure a three-year flight suffering from microgravity, radiation sickness, muscle and bone loss. But what about the psychological effects of space travel? 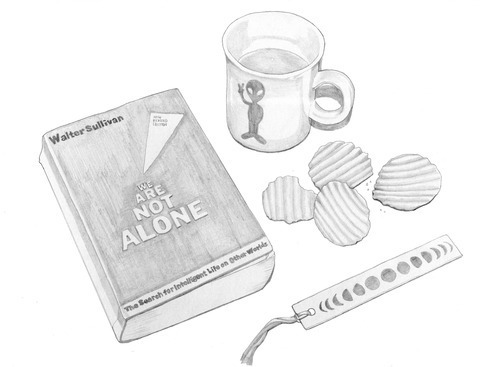 Between June 2010 and November 2011, a full-length 520-day study was conducted to investigate the psychological effects of isolation. Based in Moscow, six daring individuals lived with little external communication in a fake spaceship, with the European Space Agency testing their psychological, medical and physical performance. The simulation provided empirical data on what space agencies can expect from a manned mission to Mars. Mankind is on the brink of exploring our sister worlds, and with the exponential increase in technology, this may happen sooner than we think. Do you think this time we should send a masturbating chimp? When writing for The Age, Beat Magazine and more, every time Nick Taras finishes a paragraph, he takes a bath and listens to Montell Jordan's This Is How We Do It. This column originally appeared in The Lifted Brow #24: The Medicine Issue. Get your copy now. 15th August 1977. Released only a few months earlier, Star Wars ignited America’s imagination unlike anything before. For two hours, audiences are spellbound by aliens, droids, weird worlds and metaphysical forces set in a galaxy far, far away. While the setting and characters of the film are appreciated by the public as fiction, at 11:16pm on 15th August 1977, a computer inconspicuously records six typographic characters onto a print out at The Big Ear radio telescope at Ohio State University. The characters are 6 E Q U J 5. These six symbols are overwhelmed on a single page smothered by thousands of 1s and 2s – two digits that plague all the other pages too. The calendar reads Monday, and nobody will pay attention to the special print-out until midweek. What is considered, with much controversy, to perhaps be mankind’s first recording of a radio signal from an intelligent, extraterrestrial being, sits on top of Dr Jerry R. Ehman’s desk, waiting to be noticed by human eyes. The question, “Are aliens out there?” arises more so from the human ego than from genuine curiosity. If the answer is assumed to be ‘yes’, then the follow-up questions are generally more concerned with humans than the aliens: “How will extraterrestrials be different to mankind?”, “What will aliens do to humanity?”, “What will that mean for humanity’s origins?”, etc. If any of you have smoked marijuana with a stranger, you will maybe have heard these questions before; any article about aliens is always at risk of becoming infected with stoner hypotheticals. This column, however, is not about UFOs, Area 51, conspiracy theories and what-ifs; this is an investigation of scientific exploration of the extraterrestrial unknown. Mankind knows life in the universe is possible – Earth is confirmation. Vampires, werewolves, goblins and superheroes are shackled by the boundaries of myth, whereas aliens are the most rational hope for discovery of the supernatural. If their existence is ever confirmed, humanity’s exclusive status would be challenged, and the ego would be confronted like never before. Dr Ehman begins flipping through the banal print-outs, as was his routine for years, until his eyes glimpse the 6 E Q U J 5 sequence amongst pages and pages of 1s and 2s. Immediately, Dr Ehman circles the six characters with his trembling red pen, and writes ‘Wow!’ in large letters to their left. The radio source would henceforth become known as the infamous ‘Wow! signal’. 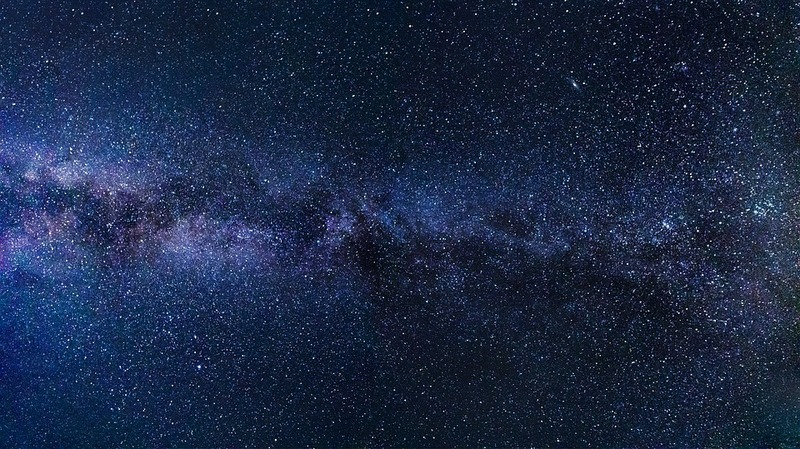 The signal, originating somewhere within the Sagittarius constellation, is one of the most fascinating unsolved mysteries in the search for extraterrestrial intelligence. The Big Ear radio telescope, prior to 1973, searched for phenomena that produced ‘wideband’ radio sources, such as galaxies and stars. However, in 1973 a decision was made that the telescope would scan the sky for ‘narrowband’ sources, which are almost always intentionally made by intelligent beings. AM, FM, television and radar are all narrowband sources, and 6 E Q U J 5 is a pattern that would be expected of a narrow frequency band. Astronomers at the Harvard Smithsonian Center for Astrophysics have estimated that there are 17 billion Earth-like planets in Earth’s galaxy – and there are 100 billion galaxies in the known universe. But how many planets are likely to harbour intelligent life able to make contact with Earth? In April 1960, Dr Frank Drake at the Greenbank Observatory in West Virginia performed the first modern SETI (Search for Extraterrestrial Intelligence) experiment – he pointed a radio telescope into space and tried to eavesdrop on the whispers of aliens. For perhaps the first time, humanity wasn’t simply waiting for alien contact – people were actively searching for a connection. The Drake equation calculates that the number of radio-communicable alien civilisations in this galaxy (N) is equal to how many stars are formed every year multiplied by how many of those stars have planets multiplied by the number of those planets that could support life multiplied by how many of those planets that could support life actually develop life at one point multiplied by how many of those planets develop intelligent life multiplied by how many of those planets develop radio technology multiplied by how long those civilisations emit detectable signals. That year, Drake and his colleagues—based on available information at the time—produced a modest guess of approximately 50,000 planets with civilisations capable of developing radio technology. Modern estimates are hotly debated – many suggest the existence of up 50 million planets, but the number isn’t particularly important. Even though the equation relies on guessing a few unknown variables, the Drake equation was to the imagination of young scientists what Star Wars was to the public. The equation provided mathematical hope, bringing a ridiculed concept down to Earth. While efforts like SETI are listening for signals of sophisticated intelligence in the depths of Earth’s galaxy, scientists are planning missions to find microbial life in the solar system. Micro-organisms do not require the complex environments that macro life-forms do. However, repercussions of discovering micro-organisms are just not as broad as finding intelligent life. The implications on humanity’s origins are still wildly fascinating, but alien bacteria can only tell humans about their past – not their future. Practicality, money and science are the three elements that guide where mankind should search for ET and how. This limits the search for life to a longlist of seven planets and over 100 moons – this solar system. In order to narrow planetary locations to those that could harbour life, scientists look towards the only place where life is proven to exist – home. The one constant across all known life is water. Frozen water permeates through the universe—from the rings of Saturn to comets—but the difficulty is finding liquid water. According to NASA’s Dr Jennifer Eigenbrode, the conditions on Mars 3.5 billion years ago were likely very similar to Earth. The Curiosity Rover, and subsequent missions, are attempting to find clues of Mars’ forlorn past in the sediments of its soil. However, just like the Wow! signal, there are scientists out there that believe alien life was actually found here on Earth in 1984 – in, of all places, the arid desert that is Antarctica. The Allan Hills meteorite is one of the most contentious discoveries in the hunt for extraterrestrial life. In the Allan Hills region of Antarctica on 27th December 1984, scientists unearthed a meteorite that became one of the most debated discoveries of all time – the Allan Hills 84001 meteorite. Blasted into space 15 million years ago following an impact collision on Mars, the meteorite landed in Antarctica 13,000 years ago. Over a decade after its discovery, researchers announced that the meteorite may have been contaminated by microscopic fossils of bacteria from Mars. The evidence, while inconclusive, galvanised the field of exobiology, which went on to become known as astrobiology. Out of over 160 planets and moons in Earth’s solar system, Mars’ proximity to Earth means missions there are more practical and financially viable than other celestial bodies. But many researchers don’t consider Mars to be the most likely place for microbial life in the solar system. While some scientists are focused on Mars, many are actually imagining somewhere else, a world of flowing oceans, lakes and rivulets – Europa. One of Jupiter’s 67 confirmed moons, Europa is covered in a layer of kilometres-thick ice. What’s remarkable about Europa is that despite residing outside of the Goldilocks zone (‘just right’: not too far and not too close to the Sun), astronomers still calculate the existence of liquid water. As Europa orbits Jupiter, the gravitational pull from Jupiter stretches and compresses Europa, and the heat produced from this tidal heating may be enough to melt underneath the ice. If life can thrive on the purgatorial bottom of Earth’s ocean floor, then life can survive in Europa. In 2012, the European Space Agency announced that a $1.3 billion mission to explore Jupiter’s icy moons—named the Jupiter Icy Moon Explorer (JUICE)—will launch in 2022, with an estimated arrival date of 2030. Ganymede, Callisto and Europa will have their surfaces studied, and most importantly, their potential for harbouring life will be analysed. In the near future, the hope is for a rover to explore the icy world, to taste ice-cold other-worldly water for the very first time. Following on from Drake’s equation, and the estimate that there are so many thousands of planets likely to harbour intelligent life, Fermi’s paradox asks one simple question: “Well then, where is everybody?” How can there be such high estimates of advanced extraterrestrial life yet no evidence of aliens? The most popular answers to the paradox seem to be filtered through the human ego. Many lean towards science fiction more so than science, such as the Zoo hypothesis (stoner hypothetical alert) which suggests mankind is unknowingly living in a zoo. After all, the perfect zoo is that where the captives aren’t aware of the existence inside said zoo. Other answers suggest that the lack of alien contact reveals the future of mankind – once a civilisation develops the technology to annihilate itself, the technology is soon used. Of course, the ego is protected from the obvious: human beings are too barbaric, primitive and stupid for aliens to bother visiting. Consider science fiction and how depictions of aliens mostly seem to reflect the same bipedal, binocular appearance that defines the human species. Strangely, aliens also seem to have human intentions, such as the colonisation and slavery of worlds due to the exhaustion of resources. Such is the power of the ego over the imagination that human evolution and histories are often portrayed as identical. Why does humanity want to discover extraterrestrial life? Why do humans even explore? Since human beings advanced from Africa about 60,000 years ago, Earth has been traversed all over. Homo sapiens are the only species that migrates in search of new land despite possessing all the required resources in its current location. Fossils suggest that Neanderthals—widely considered to be an extinct species of human—were comfortable in their own relatively small living radius. Extraterrestrial life is the next unknown for humans, and its exploration is irresistible. According to a National Geographic article, scientists have found a gene, DRD4-7R, encoded into the DNA of about 20 per cent of humans, that is associated with curiosity and restlessness. Studies have suggested those with the gene tend to take more risks and explore new phenomena. Follow-up studies have analysed the gene through the lens of migration, and found that the gene is more common in people whose ancestors moved greater distances from Africa. Of course, curiosity and an exploratory predisposition can’t simply be the result of one gene, but what’s certain is that humans have evolved to seek new and better opportunities. Humanity’s ancestors migrated in the hope of better lives (not sure what the Eskimos were thinking) but in the modern first world, where the most basic human survival needs are generally met, the mind is stimulated by more complex matters. Just like the Wow! signal, there are teasing hints of the unknown waiting to be discovered. Space is an unmapped territory, and the implications of what humanity may find is the most profound mystery of all. ‘Extraterrestrials, Ego and Exploration: Mankind’s Search for Alien Intelligence’ is Nick Taras’s second Astronomy column for The Lifted Brow. It originally appeared in The Lifted Brow #23. 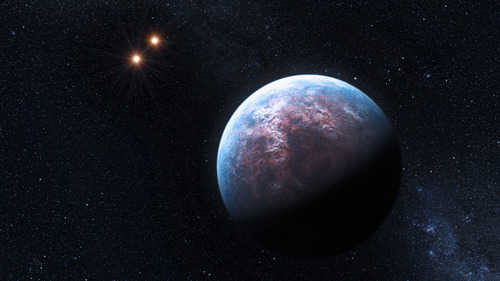 Artist's impression of Gliese 667 Cb with the Gliese 667 A/B binary in the background, from Wikimedia Commons. Reproduced under the Creative Commons Attribution 3.0 Licence. Earth is a tenant in a strange neighbourhood. Next door, rusty dust scatters red light across the Martian sky. A sunset viewed from Mars isn’t like a sunset on Earth: a Martian sunset is blue. Venus lives on our other side. A day on Venus lasts 243 Earth days, while its yearly calendar is completed after 225 Earth days. This is because Venus orbits the Sun quicker than it rotates on its own axis, and thus a day on Venus is longer than its year. Around the corner on Jupiter, a hellish storm the size of two Earths hasn’t stopped raging since it was first observed 300 years ago. Seasons on Uranus last for about twenty Earth years. If you were to stand on, say, the north pole of Uranus, you would see the Sun rise, crawl along the sky for eighty-four Earth years, and upon its setting, you’d be in total darkness for the next eighty-four years. Neptune resides in a dangerous section of the neighbourhood, where winds reach speeds of over 2,100 kilometres an hour. Boasting exquisite rings and sublime auroras, Saturn is undoubtedly the mansion of our planetary community. Of course, these worlds seem banal compared with Earth – a world that has given birth to life, a world that has nurtured its own children with such indifference only to find itself a casualty of that same indifference, a victim of matricide. As human beings continue to wreak havoc, the search for exoplanets—worlds that orbit stars outside of our Solar System—is looming as more important than ever. The hunt is especially skewed towards planets able to not only harbour life, but to host human life. We human beings may one day find ourselves evicted from Earth. This is the story of our search for a new home. In 1992, Polish astronomer Aleksander Wolszczan, along with his colleague Dale Frail (who probably had a rough time at high school), announced that they had detected two planets orbiting a distant star. These were to become the first exoplanets ever discovered. However, excitement amongst scientists was restrained. The history of exoplanet discovery is poisoned with error and regret. Only a few months before Wolszczan and Frail’s announcement of their historic discovery—or, perhaps, ‘unearthing’—astronomer Andrew Lyne of the University of Manchester appeared before a crowd eager to hear his miraculous tale of exoplanet discovery only for Lyne to open his presentation with, “The planet just evaporated.” (It was never there to begin with.) While disappointed astronomers in the audience shook their heads, the failure was a reminder of just how difficult it is to find exoplanets. After all, if observing distant suns is a problematic task, how on Earth can we find distant planets? Two complementary methods are generally employed by planet hunters to detect faraway worlds. The first is known as the “radial velocity method”, which sounds difficult, but the concept is relatively simple. A planet orbits a star because the star has more mass and therefore the star is attracting the planet towards it. However, the planet itself also has a gravitational tug on the star. This causes the star to wobble. Thus, not only does detecting a star’s wobble indicate the presence of an exoplanet, but depending on how much the star moves, the size and shape of the exoplanet’s orbit can be calculated, along with its mass. This technique is responsible for more than half the discoveries of exoplanets so far. The other method: imagine you’re reading a book under a lamp. You hear a fly buzzing around the globe and notice that the light seems to flicker. The fly begins to encircle the light bulb, causing a repetitive, flickering dimness. This is analogous to how astronomers find exoplanets: telescopes, both on Earth and those we have launched into space, are pointed towards a star deep in our Milky Way, and as a planet passes between its star and our Earth, a drop in starlight is detected. The larger the drop in sunlight, therefore, the larger the planet. Once these exoplanets are confirmed, researchers can determine whether or not the planet orbits within the habitable zone—where temperatures are suitable for water—and general profiles of the planets can be calculated. So far, we have located and confirmed the existence of roughly 1,000 exoplanets, with a further 3,000 awaiting data analysis. Many of these discoveries are courtesy of the Kepler space observatory—a $US600 million telescope launched into orbit in March 2009—for the sole mission to discover Earth-like planets orbiting other suns. As the search for a twin Earth continues, and hundreds of new, weird planets are found each year, we’ve learned that even our finest creative minds in science fiction are mocked by the wild imagination of our universe. It’s the 14th of November 2013 and a mystery bidder has placed their final offer – £51.7 million, equivalent to $AU95.5 million. The offer is accepted, and the unidentified buyer walks away with a 59.6 carat (11.92 grams) pink diamond. A sparkling photograph of the majestic gemstone, named ‘Pink Star’, adorns many newspapers the following day, escorted with headlines hailing the diamond as the world’s most expensive. This, however, isn’t entirely accurate, as Queen Elizabeth II owns a series of extravagant diamonds known as the Cullivan diamonds. Cullivan I, aka The Star of Africa, is a pear shaped diamond weighing an astonishing 530.20 carats – 106.04 grams. Unsurprisingly, it’s not for sale. The Cullivan is one of the largest diamonds in the world. But all these diamonds, even the Cullivan, are tiny compared to 55 Cancri e – a planet made, at least partly, of diamond. Discovered in 2004 in the constellation of Cancer, NASA’s Spitzer Space Telescope determined 55 Cancri e’s mass and radius, subsequently allowing researchers to calculate its density. The result was unfathomable. 55 Cancri e, it seems, features a subsurface layer made of kilometres-thick diamond. And it’s twice the size of Earth. And it shares a solar system with four more planets just like it. If you’ve seen Lars von Trier’s 2011 apocalyptic film Melancholia, you’ll be familiar with the concept of rogue planets. These nomadic worlds are endless travellers with no star to call home. Losers of a gravitational tug of war, rogue planets are orphans that have been kicked out of their solar system families and left wandering the galaxy. The thought is frightening – if a ‘mere’ asteroid can wipe out dinosaurs, what would happen if a rogue planet smashed into Earth? Well, Earth has likely collided with planets before. The current hypothesis states that 4.5 billion years ago another planet smashed into Earth—explaining why Earth is tilted on an angle—and debris from the collision was caught by Earth’s gravity, eventually forming the Moon. While researchers approximate rogue planets in the billions, their existence has yet to be confirmed anywhere near our neighbourhood. The nearest rogue planet discovered is CFBDSIR2149, approximately seventy-five light years away – hundreds of trillions of kilometres. In 2013, for the first time ever, astronomers identified an exoplanet’s colour. The planet affectionately known as HD 189733b has a deep, cobalt blue hue, similar to Earth. That is basically where the similarities between the two sapphire planets end. HD 189733b is a 1,000 degree Celsius gas giant where it rains glass—sideways—in scorching winds of up to 7,000 kilometres per hour. The above are just a few peculiar examples of the strange planets in our galaxy. There are hundreds more. Like WASP-12b – an exoplanet slowly being devoured by its sun. Or in the faraway NGC 4845 galaxy, where astrophysicists witnessed a dormant black hole awakening to feast upon a wandering planet. These extraordinary cataclysmic events, thankfully, do not threaten our planet. We instead face our own deadly hazards – asteroids, nuclear war, global warming, Creationists. So, if something were to happen, where would we go (assuming we had the time and wherewithal)? And how would we get there? This has been the true goal of exoplanet discovery since the first discovery in 1992 – to find planets within a star’s ‘Goldilocks Zone’. In 2007, the announcement of a super-Earth called Gliese 581c, which orbited within a star’s Goldilocks Zone, ignited the public’s imagination. Soon after, the scientific community determined that the planet’s surface temperature more closely resembled Venus rather than Earth. Just as astronomers began resigning themselves to searching once more, a neighbour of Gliese 581c was discovered – Gliese 581d. Although Gliese 581d receives significantly less solar energy than our Earth does from the Sun, researchers suggest that the planet’s greenhouse effect could allow it to retain water on its surface. This would create a water cycle. And, possibly, life. In June 2013, scientists not only located another planet orbiting inside of a different Goldilocks Zone, they found three planets circling the same star. Furthermore, the Gliese 667C system is ‘only’ twenty-two light years away. The fascinating part is that Gliese 667C is a red dwarf star. This type of star is the most populous throughout our galaxy, so the discovery of three habitable planets orbiting a red dwarf inspires much hope in the likelihood of life outside of Earth. What does this all mean? Once we confirm all these potential twin Earths, then what? Do we yet possess the technology to travel outside of our Solar System? No, we do not. Current propulsion technology is insufficient for any worthwhile voyage. The speed of light, at just under 300,000,000 metres per second, is the speed limit of the cosmos. Gliese 667C is twenty-two light years away, which means light from our Sun takes twenty-two years to reach Gliese 667C. The fastest manned spacecraft ever flown was NASA’s Apollo 10 moon mission, which reached roughly 11,000 metres per second – barely 0.004% of the speed of light. The consensus is that it would take, with current technology, tens of thousands of years to arrive to our closest stellar neighbour. Furthermore, the cost would be astronomical. At NASA’s Marshall Center, extensive work is underway on propulsion systems for effective space travel. One of their strongest developments is a colossal solar sail: just like a sail on a ship catches wind to thrust a vessel forward, a solar sail reflects sunlight from the Sun and uses that reflection to propel itself forward. But if this spaceship requires the Sun in order to move, what happens once we leave our Solar System? Simple, apparently: attach a massive laser behind it, and use that to propel it forward. The difficulty is in finding a material that is both extremely light yet can stretch across 966 kilometres, an astonishing size that NASA engineers calculate is just large enough to carry a hypothetical spaceship at an optimal speed. The material that NASA are currently testing is forty times thinner than hair, and yet, according to their mathematics and modelling, they must develop a material ten times lighter than this. From nuclear-powered spaceships firing mini helium bombs in order to reach 16% the speed of light, to theoretical propulsion systems involving the contraction and expansion of space, interstellar space travel awaits a technological breakthrough. With each passing decade providing exponential technological growth, the impossible dream may only be a few sleeps away. Tonight, if it’s clear and you're in the southern hemisphere, you can step outside and search for an exoplanet on your own. Scan the sky for the iconic Southern Cross, easily found if you follow the direction of two bright stars—The Pointers—accompanying the celebrity constellation. But there is in fact something incredibly special about one of these two shining stars. Glance towards the brightest star of the pair, Alpha Centauri. You are actually looking at two stars – Alpha Centauri A and Alpha Centauri B. If you have a telescope, you can observe the gap between them and admire their celestial dance up close. But you are not just looking at two separate stars. You are witnessing the closest exoplanet to Earth detected so far, Alpha Centauri Bb, orbiting the slightly dimmer star. It is just four light years away. Most scientists believe that with current technology, it could take 40,000-70,000 years to arrive there. Some contend we are on the brink of propulsion breakthroughs that could get us there in a few hundred years. Let’s just hope when we finally visit Alpha Centauri that our spaceship is occupied by astronauts driven by the human desire to explore, rather than overloaded with praying survivors, desperately searching for a new home, graduates of extinction. This is the first in Nick Taras' continuing series of columns on astronomy for The Lifted Brow. It originally appeared in The Lifted Brow #22, which you should go and buy now.